Toyota Premio. Perfecto para las noches de invierno, de superior calidad alto impacto ABS tan no aherrumbrará. Un par de anillo de calidad nuevo estilo automotriz lámparas de Spot Reino Unido, diseñado y fabricado en el Reino Unido. TOYOTA Corona Premio. LaAnillo Rectangular de conducción luces son luces de slim-line para montaje de parachoques o spoiler. Son fáciles de montar y son los soportes y lámparas halógenas. Anillo luces de conducción Rectangular Info Extra. Land Rover: YWC 500060, YWC500060. Land Rover. Land Rover Discovery 3 LR3. It should fit these car models Part numbers 911 Turbo/GT2. 911 Carrera. TOYOTA Corona Premio. Perfecto para las noches de invierno, de superior calidad alto impacto ABS tan no aherrumbrará. Un par de anillo de calidad nuevo estilo automotriz lámparas de Spot Reino Unido, diseñado y fabricado en el Reino Unido. KDLT002 / DDLT002. Part Number: KDLT002 / DDLT002. Denso Koito D2S D2R. Supported Xenon bulb types: D2S, D2R. Land Rover: YWC 500060, YWC500060. 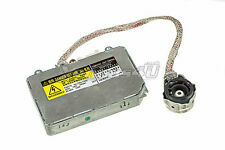 Part Number Land Rover Discovery 3 LR3. Known part numbers for Toyota vehicles. Toyota Premio. TheRing Rectangular Fog Lights are slim-line lights for bumper or spoiler mount. They are easy to fit and include halogen bulbs and brackets. 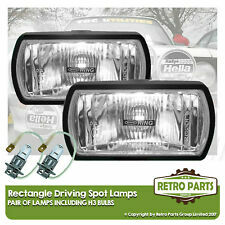 Ring Rectangular Fog Lights Extra Info. Ring Rectangular Fog Lights. 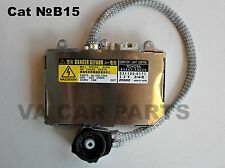 LEXUS TOYOTA DENSO XENON HEADLIGHT BALLAST D2S D2R BALLAST. 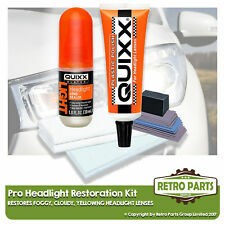 Replace this instead of the whole headlamp if your old module is faulty. 2000 - 2003 Lexus ES300. 2004 - 2006 Lexus ES330. 1998 - 2005 Lexus GS300. Toyota Premio. TheRing Rectangular Driving Lights are slim-line lights for bumper or spoiler mount. They are easy to fit and include halogen bulbs and brackets. Ring Rectangular Driving Lights Extra Info. Lámparas de niebla/conducción Kit de cableado para Toyota Premio Telar Spot Luces aislados. Toyota Corona Premio. TheRing Rectangular Driving Lights are slim-line lights for bumper or spoiler mount. They are easy to fit and include halogen bulbs and brackets. Ring Rectangular Driving Lights Extra Info. Toyota Corona Premio. Perfect for the Winter Nights, Made from top Quality high impact ABS so will not Rust. For mounting above or below the bumper, complete with 2 x 12 volt 55 watt H3 'E' approved powerful Halogen bulbs. Toyota Premio. Perfect for the Winter Nights, Made from top Quality high impact ABS so will not Rust. For mounting above or below the bumper, complete with 2 x 12 volt 55 watt H3 'E' approved powerful Halogen bulbs. 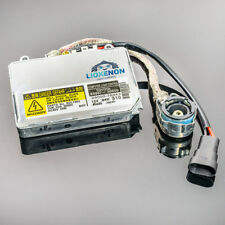 Lámparas de niebla/conducción Kit de cableado para Toyota corona Premio Telar Spot Luces aislados. 30 amp Fused Relay with Pre Wired Loom. Includes 30 amp relay, in-line fuse, all necessary wiring pre-wired to relay, illuminated rocker switch and bracket. 15 amp blade fuse and holder pre wired. Full Pro Wiring Fitting Kit with Rocker Switch. Hella 9BG 121 587-031 Piloto de matrícula, piloto de matrícula. HELLA Carcasa, matrícula, fabricante art. 9BG 121 587-031, EAN: 4082300212723. SKU: 9BG 121 587-031. Artículo genérico: Vivienda, luz de la matrícula. HELLA 2KA 003 389-081 Piloto de matrícula, montaje de alumbrado de matrícula arriba o izquierda / derecha, P21W. Piloto de matrícula HELLA, P21W, N.º de artículo del fabricante. 2KA 003 389-081, EAN: 4082300050486.